The panels are manufactured to exacting tolerances, have a high quality finish, and can incorporate cast-in cable ducts, electrical boxes and service ports. Installation rates are of up to 100m2 per hour. Twinwall has excellent inherent fire resistance and acoustic performance. 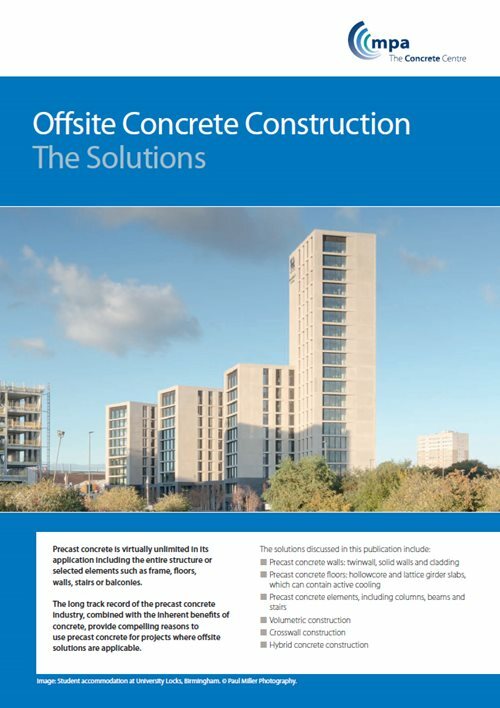 Further information on twinwall can be found in the publication Design of Hybrid Concrete Buildings.